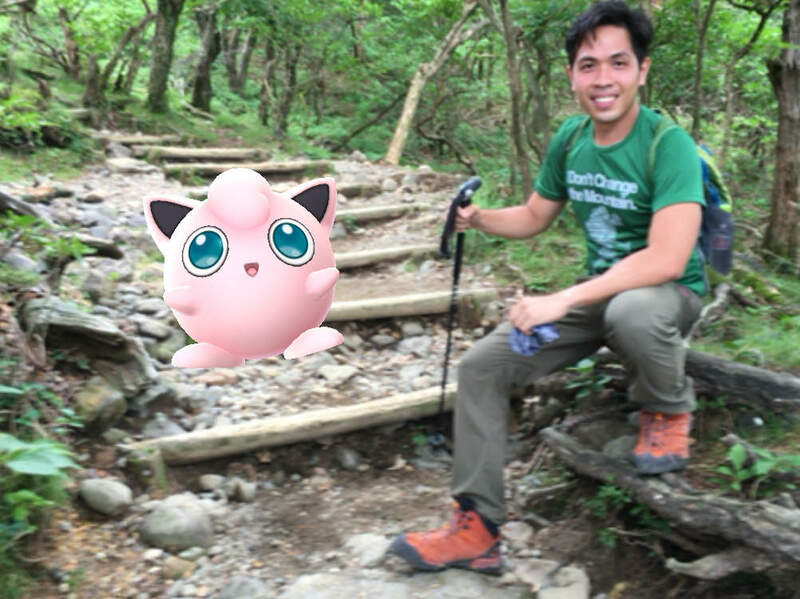 FUKUOKA, JAPAN - News that Pokemon Go had finally reached Philippine shores came to me just as I finished hiking up Kuju Volcano - the highest mountain here in Kyushu island. Though it came alongside many other developments that day - i.e. the opening of the Rio Games, the plan to bury Marcos at the Libingan ng mga Bayani, and Donald Trump’s latest gaffe - it was the one that excited my peers the most, judging by my Facebook feed. Pokemon Go is the latest iteration of a game that many in my generation of “90’s kids” fondly remember. Set in a fantasy world full of cute, fascinating creatures, the game invites players to roam around the world to catch Pokemon - all 151 of them (the number has since grown). Many of us embraced it. The now-primitive-looking graphics of ‘Pokemon Red’ sufficed in the pre-smartphone, pre-broadband Internet age, and I spent many hours ‘walking’ on a computer screen while my younger brother watched by my side. Later, he developed an evanescent ability to mimic the sounds of various Pokemon with such fidelity that I regret not making a videos of it. The craze over Pokemon at the time was such that there was a much-awaited Pokemon anime series, a Pokemon movie (1998), a Pokemon card game, and lots of stuffed Pikachu in Divisoria. Now, almost two decades later, comes Pokemon Go. It has the same premise as the original game, but instead of playing the game on a tiny screen, they made our world - the real world - the very ground where the game is played (albeit through the ‘lens’ of your smartphone). Walk along EDSA and you may encounter not just physical rats, but virtual ones called Ratata. Walk along Pasig River and you may catch a fish called Magicarp (thankfully you don’t have to eat it). As soon as I got back to Fukuoka from Kuju Volcano, I downloaded the app. The game, I have to admit, has a user-friendly, intuitive interface, and as soon as I caught my first Pokemon (a Charmander), I was hooked. Very soon I learned that the game is essentially about walking: you need to walk a certain distance for ‘eggs’ to hatch into new Pokemon, and it is by walking that you encounter more PokeStops (where you can get free items) - and of course, the Pokemon themselves. Thus from my apartment in Hakata I ended up walking all around Fukuoka. I realized that the more densely populated the area is, the more Pokemon, so I gravitated towards Canal City - a popular shopping mall - and ended up in a nearby park by the Yanagawa river. At first I thought I would look silly wandering at night with a smartphone on hand. But I soon realized that I needn’t be embarrassed: As it turned out, everyone in the park was playing Pokemon Go. From a public health perspective, the prospect of many people finally being able to choose both playing a ‘computer game’ and doing a physical activity is surely a game changer. Already, there are reports of people losing weight, prompting some doctors to hail Pokemon Go as a “health app”. But there are also safety concerns: already, there are reports of people falling off cliffs and getting hit by cars while playing the game. Are our streets walkable, and our parks - if we have them at all - safe for people to wander about at night? The app’s popularity may end up bringing issues of urban livability to the fore. From an economic perspective, the biggest winners are Niantic and Nintendo - the app developer and the game owner, respectively - who now have the awesome power to choose which establishments will draw crowds: a power they will be sure to capitalize on. Moreover, the game is already already engendering a “Pokenomics”: of people offering Pokemon tours; malls gaining more foot traffic by being venues to Pokemon gyms and PokeStops; and tech stores selling out of powerbanks (It’s free to play the game itself but paying for add-ons can give you a big advantage). While we sort out the pragmatics of Pokemon, however, we will also do well to reflect on the implications for human experience of the virtual further merging with the real. Playing the game while hiking up Mt. Kaimon also here in Kyushu, I have to admit that in my excitement over catching a rare Pokemon overshadowed my usual interest in the actual fauna on the trail. And it got me thinking: Is augmented reality a way of re-animating the natural world, now that the real creatures have gone? Will a future kid see a butterfly and say: “Look, mom, a Butterfree!”? Between the virtual and the real, there are times when the real should still take precedence. Attending the 71st anniversary of the atomic bombing in Nagasaki, I learned that there are no Pokemon on the peace park: the city officials, after seeing it overwhelmed by Pokemon players, had asked Niantic for it to be cleared of Pokemon out of respect for what the places signify. If it ever happens in Luneta, Manila should do the same for Rizal Shrine. As for concerns that players will be closer to Pokemon than their real-life family and friends, it has so far proved unfounded. Like all games, there is a sociality to Pokemon Go: of comparing notes and hunting Pokemon together, and and even meeting new people (there are already stories of people hitting off after a PokeStop encounter). For old friends - especially those who played the original Pokemon games together - Pokemon Go is something new to talk about; a reason to reconnect, reunite, and reminisce. In fact, I better check with my high school classmates to see who among us thus far has caught the most number of Pokemon.